OMAHA, Neb. 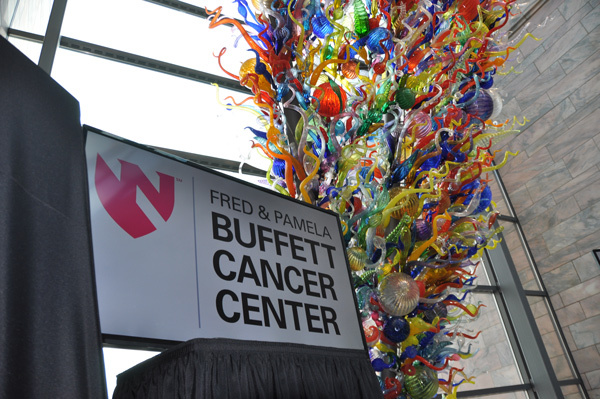 — The Fred and Pamela Buffett Cancer Center opened this summer at the University of Nebraska Medical Center. KVNO’s Brandon McDermott speaks with a cancer survivor about what the new Cancer Center will mean for patients. Matthew Barros was going to die. He had experienced random symptoms for what seemed like months. He didn’t have health insurance, so he pushed aside the warning signs. Finally he relented and went to the doctor’s office in the fall of 2008. Doctors told him he had stage 4 Non-Hodgkin lymphoma. The cancer in Barros’ body was impacting his bone marrow and lymphatic system. This stopped nutrients from helping his system and a lack of oxygen from getting to his brain. Doctors told him had he not gotten to the emergency room when he did, the outlook would have been grim. “I would have just progressively gotten worse and worse and I would have been dead within 90 days,” Barros said. Going through chemotherapy was draining. 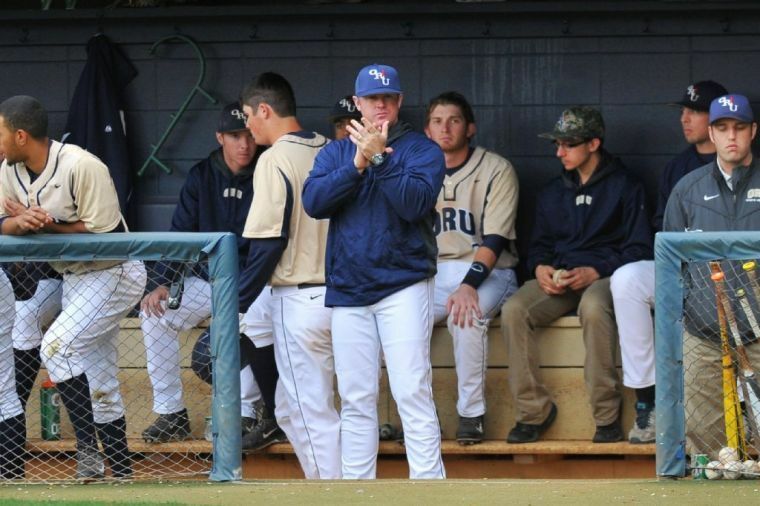 He said he couldn’t eat or sleep – he just felt sick and drained. Barros said he didn’t receive treatment from the newly opened Fred and Pamela Buffett Cancer Center in Omaha, but cancer patients who do will receive top notch care. Dr. Kenneth Cowan is the director of the Fred and Pamela Buffett Cancer Center. He said planning for Buffett Cancer Center had been 10 years in the making. The groundbreaking was held three years ago. The 615,000 square feet facility at the University of Nebraska Medical Center is the largest public/private partnership in Nebraska’s history. Support from the State, city of Omaha and Douglas County was around $90 million and public support totaled $160 million. What makes Buffett Cancer Center so special, Cowan said, is the combined treatment and research under one roof. “The future of cancer care really does require this integration of science and clinical care,” Cowan said. Cancer treatment is changing dramatically as well – and the Buffett Cancer Center is keeping up with the times, he said. Cowan said the future of cancer care is understanding the cause of each patient’s bout with cancer. “Not treating patients alike but treating them individually based on their genetic profile,” Cowan said. Dr. Tony Hollingsworth, a cancer researcher at the Department of Biochemistry and Molecular Biology at UNMC, said putting the physicians, nurses, pharmacists and scientists in the 108-bed outpatient center makes perfect sense. “Anything that we can do to expedite that process means that discoveries that we make can be translated into the clinic in a much more rapid way,” Hollingsworth said. He said the results of the proximity of laboratories and patients rooms have been immediate. Unplanned, unscheduled hallway conversations spur ideas between researchers and clinicians. 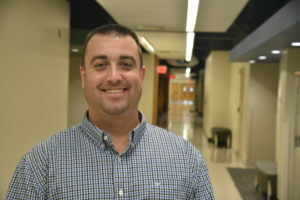 ‘One thing that’s been able to do from strictly the point of view of Cancer Center building is that it has enabled me to spend more time actually in discussions with them about some of our joint research projects and less time walking to get to places,” Hollingsworth said. Hollingsworth said the Chihuly Sanctuary within Buffett was created as a place for reflection and respite – to focus on the well-being of patients and families alike. Matthew Barros said, as someone who has suffered with cancer, it’s just the place cancer patients need. Barros, a radio personality in Omaha, met with members of the staff at Buffett during a radio show and was impressed straightaway. “To see (and) to meet the people (at the) Buffett Cancer Center – how much they really do care about what they’re doing – I mean this is not a job, it’s not even a career, this is a mission for them,” Barros said. He said the public/private contributions show the power charity has on behalf of those who want to give to those who are in need. In his darkest hour, Barros just wanted company – an open ear and a friend. Barros said sometimes the difference between recovering and not recovering is having a positive outlook. For Barros even wanting to fulfill goals like graduating from college was a roadblock. “For the longest time I didn’t enroll because my thought was, ‘well what if the cancer comes back and I just die? What would be the point of getting an education when I’m just going to die in two years?’ It’s just these weird horrible thoughts,” Barros said. He said the Chihuly Sanctuary, the layout and the devoted staff at the Buffett Cancer Center will help those suffering from cancer, have hope. Barros finished treatment in 2010 and has been in complete remission of cancer for seven years. “You can put all this money and all these beautiful paintings and all this kind of stuff but it’s really the relationship — it’s the heart to heart, it’s the relationship — that’s the most important thing,” Barros said.